What Does One Grey Tick Mean on WhatsApp? Why Are You Facing This Problem? I sent him a message but there was only one grey tick but his last seen status was after the message. If there is one grey tick on your conversation, it means your contact doesn’t have internet connection at the moment and he cannot receive your messages. One grey tick also means that you can get blocked by someone, however since you have seen his last seen status, there is nothing to worry about. It means your friend didn’t receive your message. 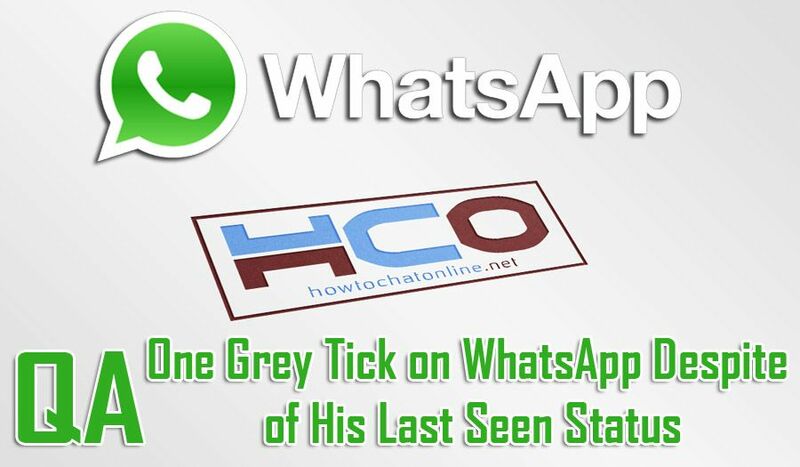 However since you are curious that why one grey tick appears despite of his last seen status, we are going to tell you reason of this. Your contact doesn’t have good internet connection. If your contact doesn’t have a good internet connection, this problem can occur on WhatsApp. He appears online and then he disappears all of sudden. Since WhatsApp last seen and online statuses are not very accurate, we recommend you to don’t take these statuses serious. Your contact open and close internet connection really fast. This is also another reason that you can face with this error. If your contact enable and disable internet connection really fast while he is looking at WhatsApp. His last seen status will appear but he is not going to get any messages. We recommend you to be patient at this situations.